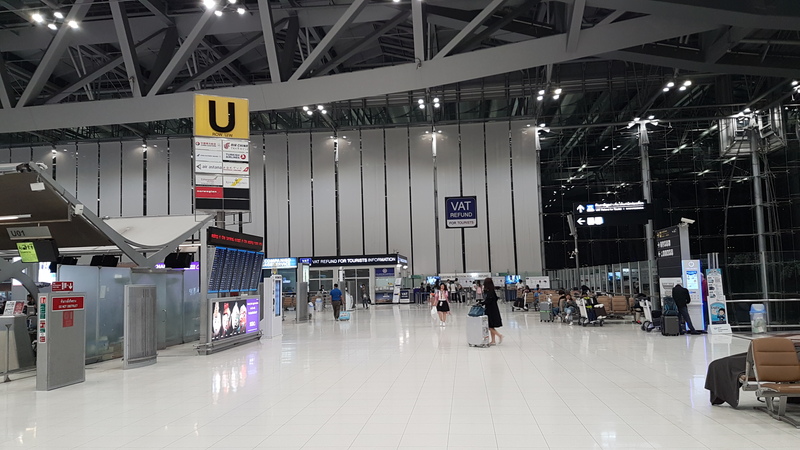 I recently had to hand carry USD 45,000 in cash out through Suvarnabhumi. I though I would write a primer as others do ask about hand carrying cash in excess of USD 15,000 from time to time. Note: The reporting limit in Thailand has been reduced from USD 20,000 or more to USD 15,000 or more (Section 2, Click Here). The first thing you need to do is download the attached customs declaration form. Print out two copies and fill them in. One copy will be kept by customs, and the other copy will be returned to you as your proof of declaration. Customs have these forms available, but being prepared saves time. On the departures floor you need to walk all the way to area U. 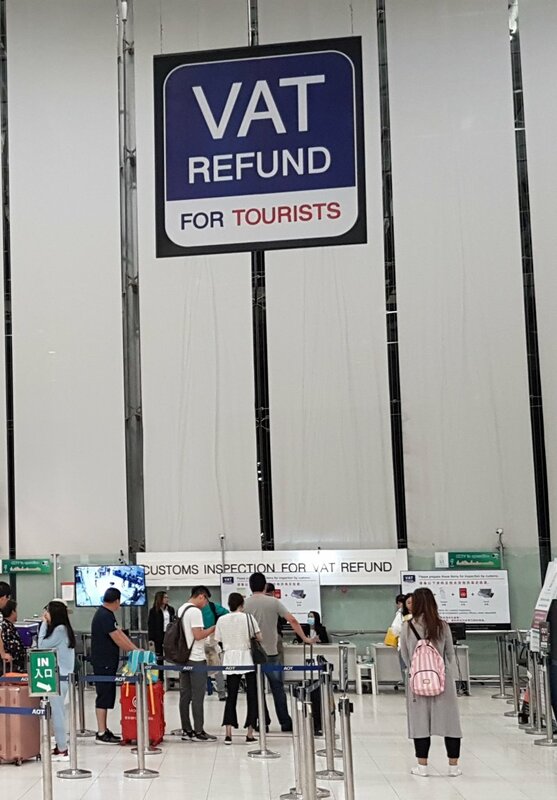 Close to the area U sign you will see the VAT refund desk. Ignore that. Next to it, on the right hand side are a couple of desks underneath a sign saying, "Customs Inspection for VAT Refund". Head directly there. The desk is staffed 24 hours a day. Hand over your forms, and you will be asked to step into a private room. It's actually the office at the back of the VAT refund counter. The staff member will ask for your passport and then record your details in a large bound ledger and ask you to sign. They will keep one of your forms and return the second signed and stamped form to you. The lady did ask to see the cash, but she don't count it or touch it. Instead she kind of looked at it for a few seconds and calculated if it looked about right. USD 45,000 in 100's is 4.5 bundles sort of thing. There were no questions at all. No questions about the source of the money, no questions about supporting documentation, no questions about the intended use of the money. Nothing. That's it. Once you get through the queue to the first desk it takes about 5 minutes and you are done. Being nosy I did glance at the other entries on the same page in the ledger. Other amounts declared were AUD 70,000 and INR 5,000,000. Your receipt has your numerical reference number written on it. I was in the 4xx/2561 range, so they are getting an average of 3 or 4 people a day declaring cash. Overall it's a quick and simple process. Cool! Perhaps you can tell us what happened at the destination and whether there were issues? My destination was the US. My port of entry was Chicago. I am not a US citizen or a green card holder so I filled in the entry card on the plane and declared the cash on that. I had an ESTA, so I got to bypass the long queues and instead use an electronic screening machine, which also asked me to declare. After that I went through the immigration desk who stamped me in to the country, then I was directed to the secondary search area. I had prefilled a US cash declaration form and I handed it over with my passport. The officer there was pleasant enough. He asked questions about the source of the funds, the purpose of the funds and why the express need for cash. I gave him the true answers, which he accepted on face value. He did not ask to see any supporting documents. The officer then briefly searched my luggage then asked to see the cash. He didn't touch it or count it. He then completed his part of the declaration form and I was free to go. It wasn't a difficult process at all. Did you get any sleep during the flight or were your eyes always on the cash? The last time I did similar, but for a lesser amount, the loss of sleep and anxiety invalidated the worth of carrying large amounts of cash. It doesn't bother me at all. 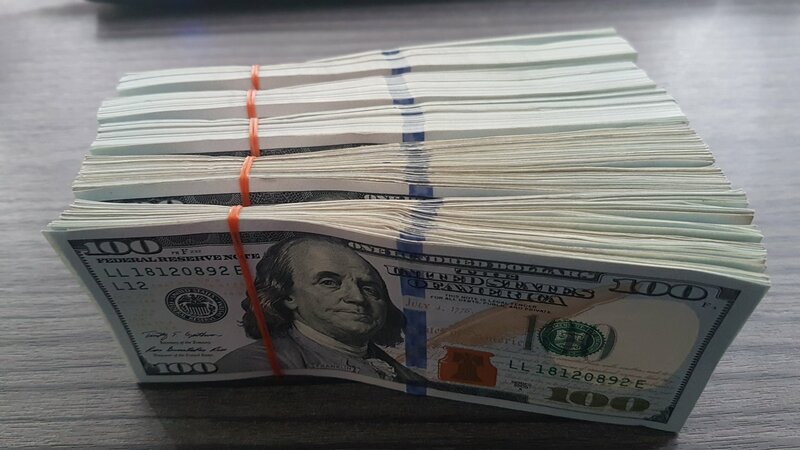 It's not uncommon for me to carry cash and that amount isn't especially bulky. I do wonder if everything would be so smooth with 100.000 $ or more? "There were no questions at all. No questions about the source of the money..."
Really? What about the section on the form that asked for details of the source of the cash? In the primer I was referring to verbal questions from the staff member who handled the report. To clarify, I was not asked any verbal questions about the written answer I gave. For people exporting their own cash, there are not many answers that you can write on the form. 1. Cash previously imported to Thailand; 2. Inheritance; 3. Gift; 4. State Lottery Winning - I can't think of any other reasons. I think most people would be in the first category, with the least people being in the fourth category. You could, of course, also be exporting the currency on behalf of a company you work for and which you have a work permit. SO what was the purpose of carrying so much caSh? Not anyone's business to know is it? Plenty of legitimate reasons to be carrying "so much cash"
like what? i can't think of one legitimate reason to carry 45,000 USD. unless he is a gambler. About 15 - 20 years ago I was carrying less than 10k cash - don't recall exactly but more than 5k. I'm a US citizen and was traveling within the US. I had it in a money belt concealed and the zipper was metal and the wand detected it. I did go into an area where they closed a curtain and one guy counted it in front of me, asked me why I was carrying it although it's legal (theoretically) to carry any amount of cash on domestic flights without declaring, called their bosses, and then I got the go ahead and was allowed to proceed. One difference is mine was hidden and yours was declared. And I'll assume you are associated with a company as you mentioned a previous job where you carried cash. However as mentioned mine did not have to be declared. I was flying out of a small regional US airport so perhaps that played a part. From everything I've read it's much much worse now, but you clearly gave them reasons that they bought. EDIT - BTW very informative post, thank you.